Finish Line&apos;s Feet First Supplement is a complete supplement promoting healthy equine hoof growth. 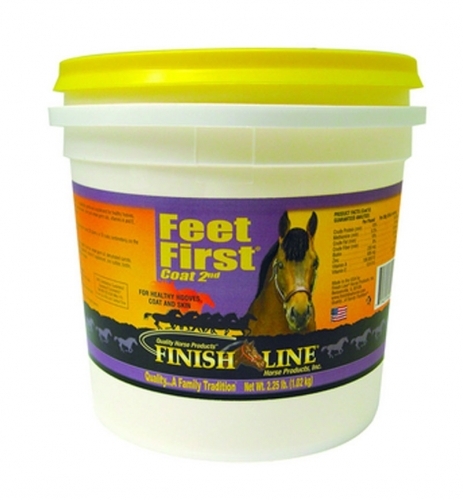 Feet First was developed over a 24 month period with veterinarians, blacksmith and trainers. It&apos;s an effective feed supplement for healthier hooves, coat and skin, with the best fatty acid sources of Flax, Olive Oil, Wheat Germ Oil and Omega 3. These fatty acids are the "missing link" in horse nutrition. And your horse will love the taste!